Which are the easiest bank accounts for bad credit UK? Find out which top three UK high street banks are most helpful and hugely proactive. BAD CREDIT BANK ACCOUNT: These top banks offer basic accounts for customers with existing or previous poor credit bank account ratings. Most of the big banking institutions in the United Kingdom offer a facility for clients to open a basic account. Even so, the overwhelming feedback and research figures below suggest that three well-known banks excel in particular. They seem to go overboard when it comes down to welcoming new consumers into the market. Nowhere is this more obvious and exposed than for those who have some financial difficulties. Individuals who fall short of meeting the normal signup requirements for new accounts find it almost impossible to open a bank account with bad credit. A recent survey suggests that these three get the big thumbs-up for banking customers. Check them out if you are trying to open a basic bank account online with bad credit in the United Kingdom. Those who feel financially vulnerable should find the Barclays Basic Account one of the easiest bank to get a current account. It is their flagship of basic bank accounts with bad credit to open. The biggest draw is their system automatically offers a basic account to anyone who passes proof of address and ID checks. They make this offer even if you cannot open a standard account (because of your credit score). Note: The Barclays Basic Bank Account for bankrupts has eligibility criteria. That means they may refuse if you are eligible to open a standard current account. The Co-op Bank and Virgin bank accounts can offer you an easy option to join. They say that you can get a basic bank account providing you have a valid proof of address and pass their identification checks. Despite being three of the easiest basic bank accounts for bad credit to get, none of these accounts offer you bad credit bank accounts with overdraft facilities. That means you should always ensure that you have enough money in the account to meet any payments. This guide does not list any bank current accounts for bad credit with overdrafts. 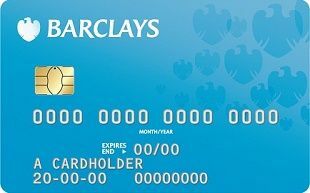 But, the basic Barclays Bank account offers a £15 buffer zone which is an added bonus over the other two basic accounts. On the plus side, you should get a Visa debit card and you will be able to set up direct debits and some standing orders. There is no fee from the banks for this service. But they may cancel your direct debit facility if you make too many payments without funds in the bank to cover them. Although it is rare, they may also close your account if you do this too often. The bank should write to inform you of the problem before this happens. Note: *When you are bankrupt, your assets (your possessions, home, income, etc.) can be used to pay your debts. Bankruptcy usually lasts 12 months. After this time you are discharged, or freed, from your bankruptcy debts. There are a few alternatives available for anyone finding problems even with these three easiest basic bank account options. There are some drawbacks, they are not cheap to operate, and they are quite selective in accepting new banking customers. As a rule, Credit Unions mainly serve local communities around the United Kingdom. This means there is no guarantee that there is a branch near to where you live. But you can try the Credit Unions guide to check. Selected Credit Unions now offer bad credit bank accounts which allow someone with an undischarged bankrupts to get one. There is a small joining fee to open these basic bank accounts for bankrupts. In most cases it costs around £5 a year. Somewhat surprisingly, there are a handful of bank accounts offer a basic bank account no credit check. You might say they are open to anyone. The Think Money Account is one such example. The account costs around £17.50 a month (£24.50 for a joint account) but anyone can get it. Even though it is a large sum to pay each month, your money is safe with Think Money. That's because it sets up a deposit account in your name with Royal Bank of Scotland. Note: If you have more than £75,000 saved with RBS including your Think Money account, they do not protect anything over that amount. There is no overdraft facility with a Post Office Card Account. But the most beneficial reason to open a Post Office Card Account is if you get certain Government benefits, pension or tax credits, but unable to open a bank account to receive them. You should contact the office that pays your benefit, giving them proof of your ID and address. They will help you to open a basic Post Office account. Your benefits get paid onto your Post Office Card. That means you can then use it to withdraw cash (until the balance runs out).